Politically, 2016 was a terrible year, what with Brexit and Trump. I didn’t want to write a depressing, negative round up of the year so I am writing a more personal post about some of the high points for me – things I’ve done and places I’ve been. Summer holiday in Majorca. We went on our usual all inclusive week in the sun, where the children can eat as much ice-cream as they like, and I can drink as many watered down cocktails in plastic cups, and nobody has to do any cooking or housework. The highlight of the week was a visit to the Caves of Drach which was memorable and spectacular and included a concert in a cave with the musicians floating on a boat. Well worth a visit if you’re in the area. My mum’s 80th birthday. It’s not every day you turn 80 and my mum threw a great party for family and friends featuring a drumming workshop. My mum really knows how to live! I made a giant birthday cake which was intended to be covered with raspberries until I realised how much raspberries cost in October. I asked a question on Question Time! This has to be my absolute highlight of the year. I was very lucky to be selected to be in the audience because about a thousand people applied and they only chose 150. Then I was even luckier to have my question selected as everyone submitted a question but only about four were used on the show. It was so exciting and for a long time afterwards people came up to me and said they saw me on the show. You can watch me ask my question here. Please do watch the whole of the clip as the ensuing discussion is very good, especially Ken Loach’s contribution. Christmas in Italy. I managed to find cheap flights with Ryanair so that all four of us could fly to Italy for a week over Christmas for less than £200. 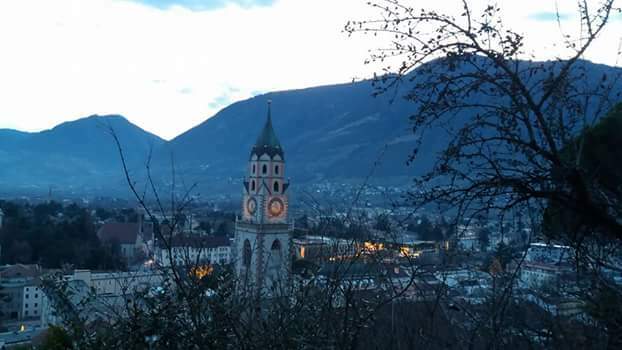 We stayed with my husband’s sister in Merano which is a pretty town near the Austrian border. We were hoping for snow but sadly we were disappointed. The boys got to spend time with their cousins and I got to drink plenty of the local vin brulé. The best bit of the week was a visit to the thermal pools at the Hotel Terme. We sat in a hot, bubbly pool watching the sun set behind a mountain. A fantastic way to end the week. Getting a grade one in my teaching observation. Just about every time I’ve had a graded observation, the observer awards me a grade 2 with aspects of grade one. I am always told that my lesson would have been a grade one if it hadn’t been for one little thing that they made up that means I am merely good and not outstanding. But in my latest observation I finally achieved that elusive grade 1 which I guess means I am officially an outstanding teacher. 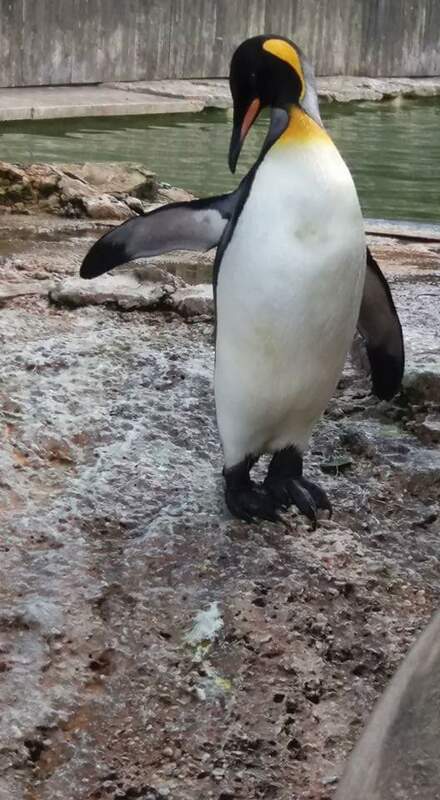 One of the most memorable family outings of the year has to be our trip to Birdland at Bourton on the Water. This is where my 9-year-old’s obsession with penguins began. Association of Teachers and Lecturers Annual Conference. This is a fantastic event held every year in Liverpool. 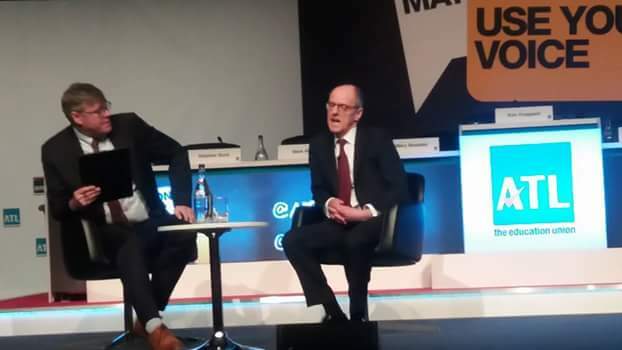 This year I was chosen to be on a panel of ten people to meet Nick Gibb, the minister for schools and ask him questions. We gave him a good grilling. Dad Made a Pinky Promise – An Explanation of Brexit.